It may seem like a stretch to draw similarities between streetwear and the sweet science. However, the influx of competition—namely millennial interest in high-fashion, and the UFC’s rise to prominence in the fight game—has created a perpetual bellow that each sector is dying a slow death. And while it’s certainly true that the so-called “glory days” are indeed behind us, the calling for last rites still feels rather premature for both sectors. Whereas streetwear excels by purposefully not meeting demand, boxing has suffered as a result of the opposite; the inability to consistently supply fights cards with top-tier punchers willing to mar pristine records. As a result, boxing has been deemed broken, and HBO’s decision to abandon coverage after 45 years and 1,111 fights comes at a time when the sport faces dwindling interest from millennials. Conversely, this “demand dichotomy” is what makes the aftermarket in fashion so lucrative for that same key demographic. And unfortunately for aging boxing heads, the only hidden value from unearthing older things are the mega-fights on ESPN Classic from the likes of Leonard, Hearns, Hagler, Tyson, Ali, Frazier, and more. 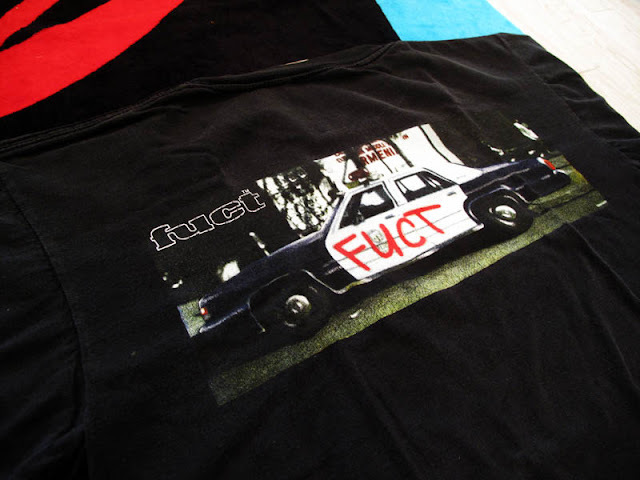 In its infancy, streetwear was the bully of the block. 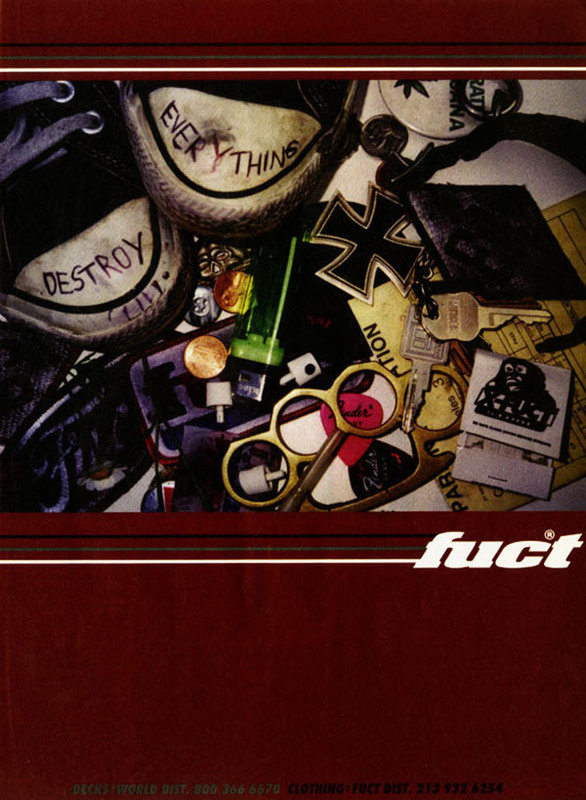 Graphic T-shirts from brands like FUCT, XLarge, and Freshjive were diatribes, threats, calls-to-action, and warnings. Brand owners and designers like Eric Brunetti, Eric Haze, and Rick Klotz were larger-than-life and embraced the roles of both hero and villain. When a multitude of other brands rode the streetwear boom in the mid-2000s, the new messages felt contrived; people were trying way too hard to mimic something that had already existed. 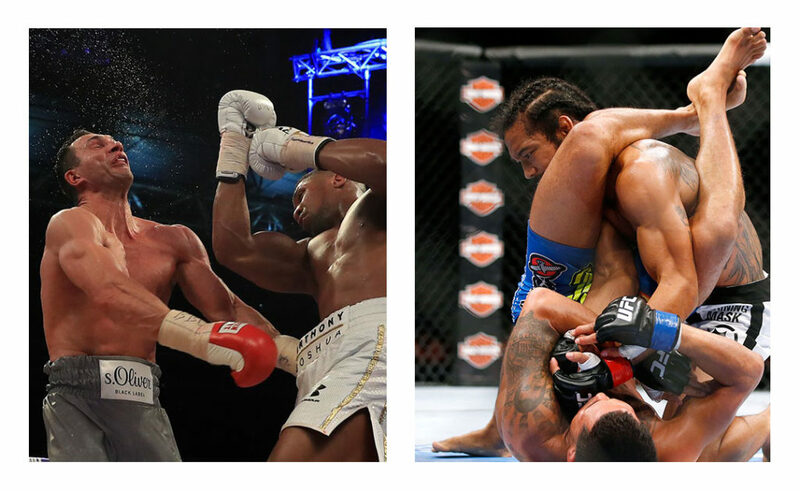 Make no mistake, there is value in what is occurring in the UFC and Bellator. The well-roundedness of each fighter is mind boggling. But I truly believe it’s filling a pugilistic need that may seem fresh and exciting, but is actually a rehash of the original—and better—style of fighting. For me, the best streetwear—whether overall brand or singular product—has always been more like boxing than MMA because subtlety and sacrifice always beats the novelty of newness. There’s no doubt that a UFC card delivers on its intended mission: to showcase how a well-rounded fighter can end things standing up, in a dominant top position, or even on his/her back using jiu-jitsu that treats non-bendable appendages like Silly Putty. According to ESPN, the finish rate in the UFC for 2017 was 50% (146 KO/TKOs and 80 submissions). This means that half of all fights had an unquestioned winner. That figure is slightly up from the previous two years spent at a 49 percent finish rate. In those instances where the fight does go the distance, there’s usually no doubt about who the winner is. 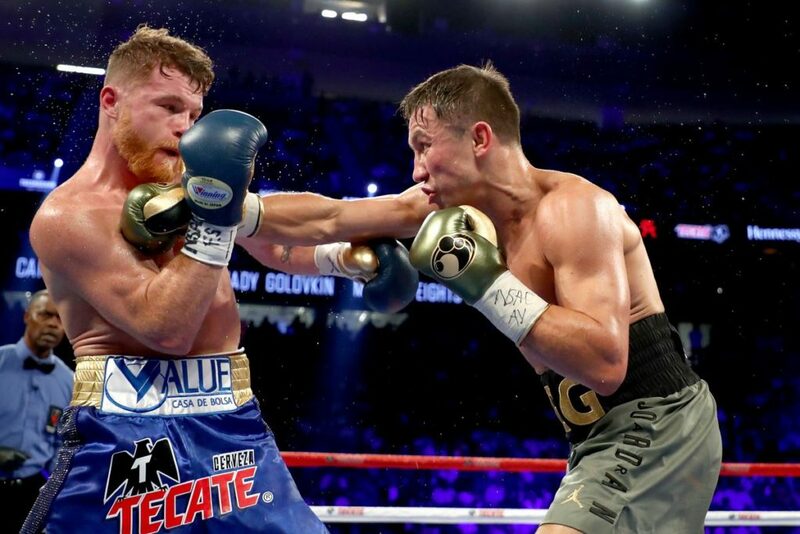 Boxing is often chastised for not only its propensity to go the full 12 rounds, but also boasting suspect scorecards when it occurs—none perhaps more egregious than Adalaide Byrd’s 118-110 score for the first bout between Canelo Alvarez and Gennady Golovkin. What is perhaps lost amongst the charges that boxing is rigged, is that it’s a sport where the minute details can have an immense impact on those observing the fight. That is to say, we may all be viewing the same fight, but we’re seeing different things. Ask any boxing trainer why a fighter’s punches are missing, and he’ll tell you to stare at his feet. I think the same is true for streetwear—and the fashion industry as a whole. People appreciate things for different reasons. One person may like what is obvious and easy to see—like a particular color or emblem. But someone like me, I’m more into fabric choice, the quality of the stitching, and the overall reasoning behind why the product even exists. 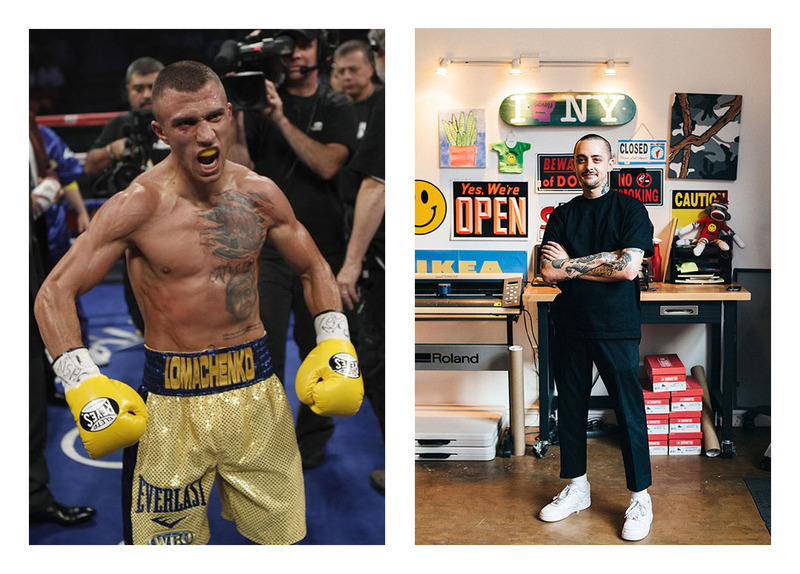 The core of what makes both streetwear and boxing great is what you don’t notice. The most recent mega-fight in boxing was the rematch between Canelo and GGG. It was once again a razor-close decision that went the Mexican fighter’s way. While many saw it for the Kazakh fighter—or even as another draw—there’s no doubt that the Guadalajara-born fighter had pushed the pace and commanded the center of the ring—unlike his performance in the first bout. This is the essence of what makes the “Mexican style of fighting.” Fighters control the pace, distance, and exchanges. They’re the maestro of machismo. They’re the storytellers. This is essentially Supreme and The Hundreds’ playbook—albeit in drastically different types of execution. With Supreme, they’ve used an intentional lack of information about its employees and products to create a sense of mystery. How can this machine keep churning out successful products and collaborations without anyone really getting any credit except for James Jebbia? Perhaps that’s the point. They’re a much more dangerous opponent for their competitors when all you see is a united front dropping products every Thursday. 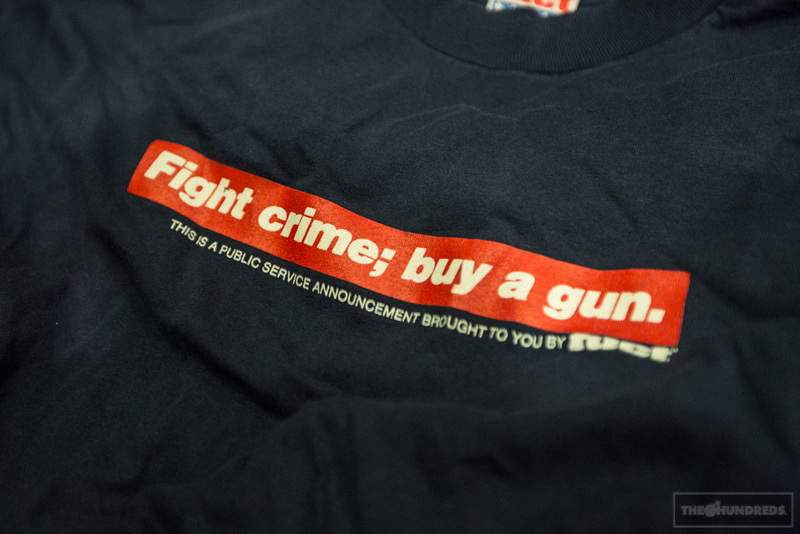 In the case of The Hundreds, it’s the opposite, yet equally effective. With Bobby and Ben, we’ve all sat shotgun during the brand’s ups and downs. We’ve all been invited on their design trips, or been in on their April Fools hijinks. If Supreme controls the squared circle using mystery as its best weapon, The Hundreds has created a brand that you want to root for by showing us the physical toll that running a brand can have on its employees. 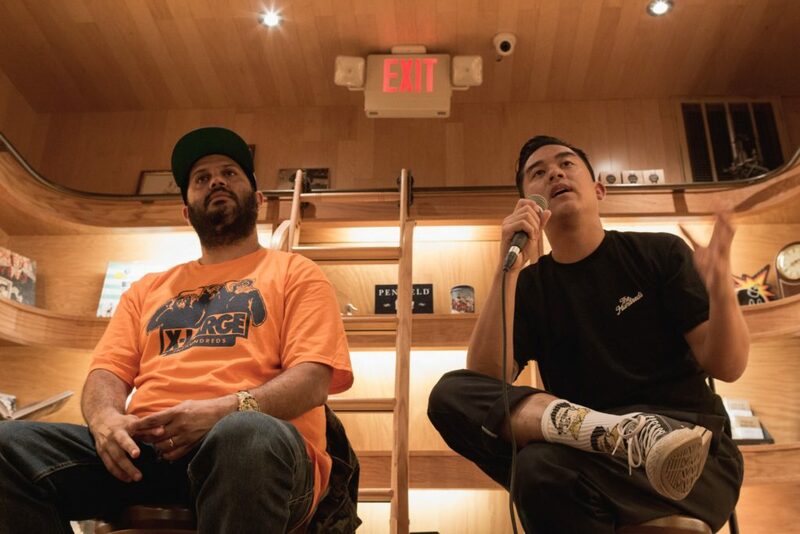 Ben Hundreds and Bobby Hundreds at a Q&A. Throughout the years, boxers like Jack Johnson, Jack Dempsey, Joe Louis, Floyd Patterson, Rocky Marciano, Muhammad Ali, George Foreman, Joe Frazier, Leon Spinks, Larry Holmes, and Mike Tyson have gotten most of the press. 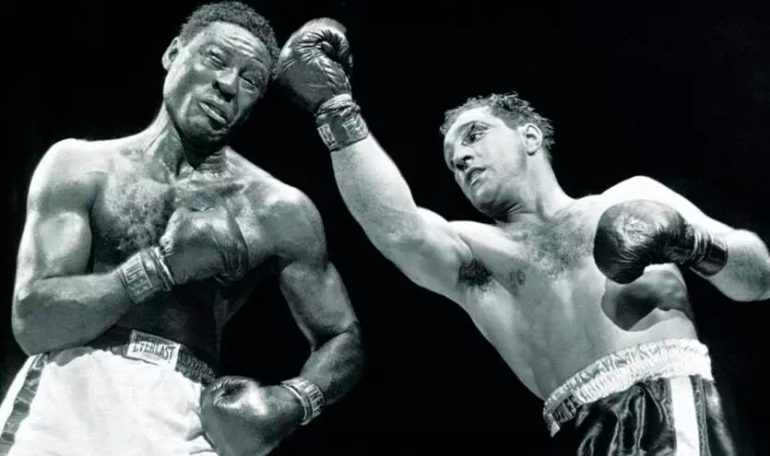 While all of their performances were certainly legendary, one could argue that the heavyweight division itself was instrumental in propelling them all to international stardom. People had a thirst for watching the biggest and baddest slug it out because they assumed they were watching the best the sport to offer. And for years, it was true. But take a look at the current pound-for-pound rankings; Vasyl Lomachenko is a lightweight/junior lightweight, Terrance Crawford is a welterweight, and Canelo and GGG are both middleweights. There isn’t a single heavyweight in the top ten rankings. The little guys have disrupted the sport. much in the same way that streetwear changed the fashion sphere and broke down the doors at couture houses like Louis Vuitton. Thanks to a mixture of technology, social media, e-commerce, and speed (think Chinatown Market, Anti-Social Social Club, BornxRaised, Pleasures), a brand can succeed without having to carry the weight of hefty financial backing or a rock-solid business plan. The absence of baggage not only lessons outward expectations, but also propels you upward much quicker. Cutting weight is an instrumental tool in a boxer’s toolkit. 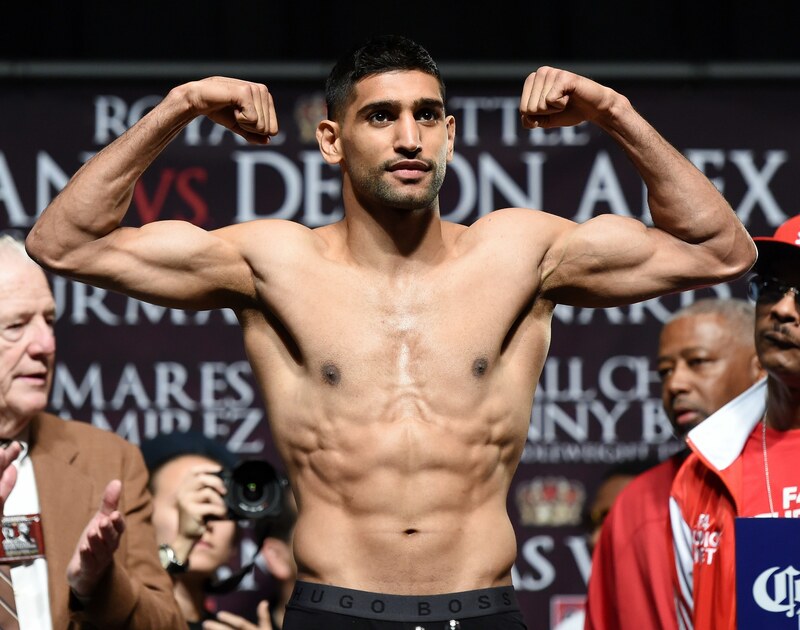 Guys who walk around at 185 pound routinely shed 20 pounds to compete in lower divisions, only to gain back the weight in between the weigh-in and fight night. While the California State Athletic Commission is looking to amend this age-old tradition, there are no imminent signs to this occurring just yet. Boxing is a sport where very few reap the financial reward, while most suffer the debilitating effects from years of head trauma and the impact of the weight cut on internal organs. Whereas the brain has given us our fight or flight responses for a reason, boxers choose to quiet this little voice despite the ever increasing risk of getting out after it’s too late. I’d make the argument that streetwear brands who have existed for over a decade have had to quiet these voices more than once. Whether it’s an offer to buy from an outside investor, a warning from a financial advisor to cut bait and run, or chatter from online communities that the brand is no longer relevant, those that have endured haven’t done so without considering if all the fuss is really worth it. 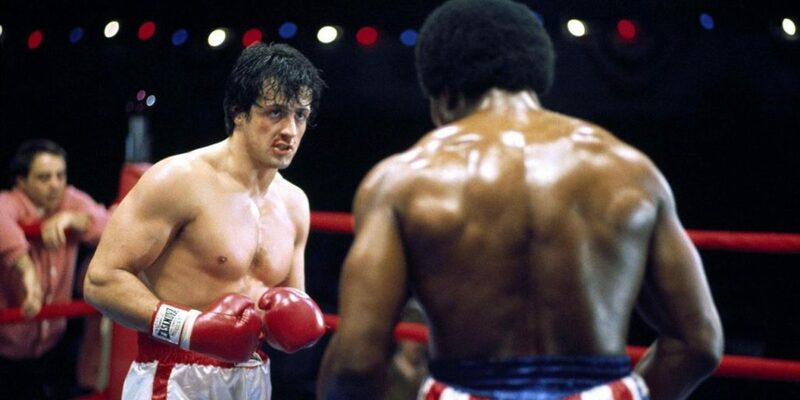 By now, Rocky isn’t so much a movie as it is an overarching example of our societal desire to root for the underdog. The Italian Stallion had no business being in the ring with Apollo Creed. But slowly, we began to believe that he somehow had a chance to actually win. 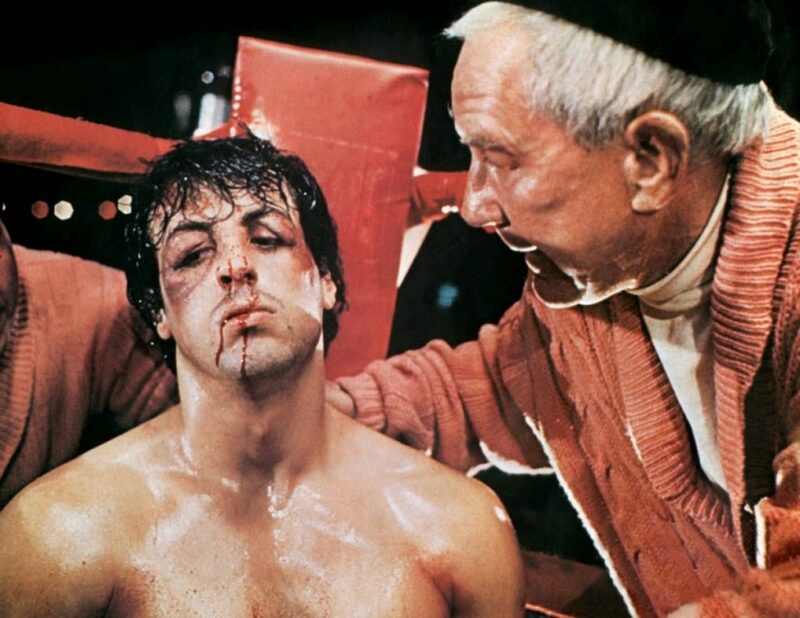 However, Rocky’s own expectations were tempered and evolved from a sense of want—to win the title—to something he actually needs—to be able to respect himself by becoming the first fighter to go the distance with the champ. Perhaps the biggest takeaway from the film is that Rocky and Apollo actually need each other. This sense of “want vs. need” is what I think new brand owners should be asking themselves. While the streetwear sector is still a very lucrative space, what need—other than one’s own personal gain—is being filled by entering the marketplace? It goes without saying, the brands that have answered that are the ones who have exceeded their goals. As for the question that is screamed at many a fight party when too many Tecates have been sipped on, “What’s better, boxing or MMA?” Maybe they need each other just like Apollo needed Rocky, and how high-fashion now needs streetwear. Whether aspiring towards a WBC strap or a bespoke Gucci belt, we should all be hustling hard enough to warrant our own personal training montage.